This flag is special in many ways. The flag is accompanied by a note that provides a wonderful family history and a geographic context that elevates the flag's importance and makes it a special example of how Americans cherished and maintained their personal flags over many years. The note accompanying the flag reads: "Mrs. Mary Dale used this flag on public occasions over their hotel in Virginia City in the "good old days" of 60's and 70's. Her family moved to Sebastopol about 1890, buying the Calender place, now owned by Mr. and Mrs. Chas. Leland." The discovery of the Comstock Lode in 1859 launched the boomtown of Virginia City, Nevada, which in its heyday boasted a population of over 30,000 residents. It was precisely at this time, during the "good old days" of the 60's and 70's", that Mary Dale acquired this wonderful 37 star flag and flew it over her hotel. Based on the history accompanying the flag, the Dale family moved to Sebastopol, California, at a time when the boom of the mines began to wane. By the time major mining of the Comstock Lode came to an end in 1898, the precipitous drop in silver production led to a sharp decline in the town's population. 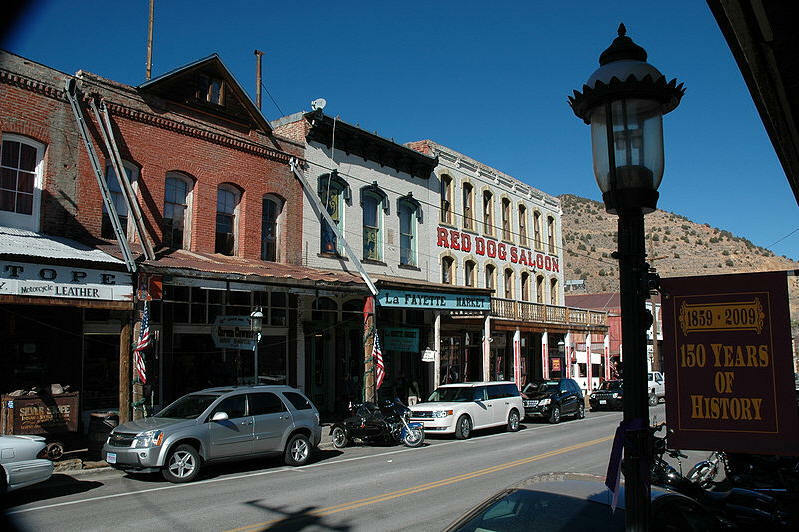 Today Virginia City remains a tourist destination with a population of just 1,000 residents. That the Dales cared deeply for the flag is evident. The flag is carefully patched and repaired, and a total of 9 folky, fat starfish-like stars were added to the flag, extending the flag's count to 46. Four of the original stars which presumably were damaged were also carefully replaced. What's particularly interesting is that of the many flags that I've seen with a "notched" configuration, where the maker intentionally leaves space for additional stars, this is the only flag I can recall where stars were actually added, as intended. In a charming display of frugality and handiwork, Mary actually filled the notched space and then continued to add stars by tucking them in above the top row. 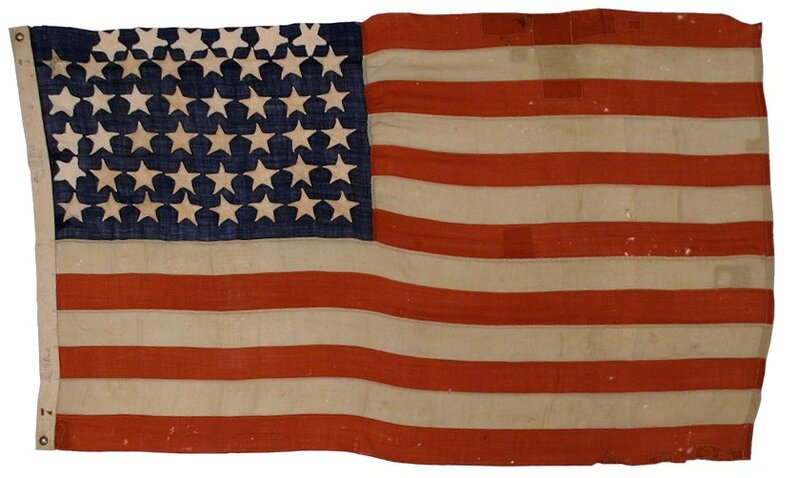 Sewn 37 star flags are particularly scarce, compared to earlier Civil War flags of 34-36 stars and later Centennial flags of 38 stars. The Dale Family Flag's specific history which ties it to a place and time of special historical interest in the American West and the wonderful updates and repairs to the flag combine to make a rare and beautiful example of post-Civil War flagmaking in the late 19th century.